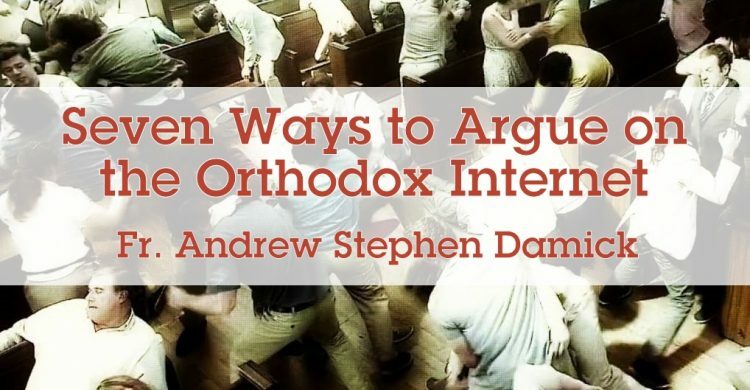 Orthodox Christians argue on the Internet. It seems like everybody does it. Well, it’s not everybody, of course. But, boy! is it rampant! I figure that, so long as we’re going to do it, we might as well keep some things in mind so that we can do it better. 1. Actually, you probably shouldn’t. It’s so super-easy to get into arguments on social media that it’s very rarely done well. Believe me, I know — I’ve been arguing on the Internet for 23 years now, and I’ve done it badly many times. 2. Don’t believe it just because it’s negative. People love to post about scandalous or gossipy events, and they also love to respond to mere headlines without actually doing a little research first. And they also often tend to believe whatever is negative, especially if it’s about someone they don’t like. Now, if you happen not to like me (and there of plenty of reasons not to), you might easily believe that stuff. The only problem is that, despite the fact that I am indeed a sinner, that never actually happened and has nothing to do with how I see (and have publicly written about) tithing. Further, just because someone disagrees with you on one thing doesn’t mean he disagrees with you on everything. Another example from my own experience is that I was once accused of disdaining the Church Fathers entirely (which is demonstrably nonsense) just because I don’t think that quoting them is the only permitted Orthodox theological thing to do. 3. There is always more to the story. Always. This is related to #2 right above, but it’s a slightly different take on the question. The example I’ll give here is of a priest who several years ago was supposedly being persecuted by a prominent hierarch. Everyone was up in arms over that bishop’s terrible treatment of this “traditional,” “loving,” etc., priest. Only later did it come out that that priest had had his pastorate commandeered by a thrice-married, excommunicated “prophet” whom the priest had made his “spiritual father,” etc. But no big retractions were forthcoming. So it’s a good idea just to assume that, unless you can verify something, anything that seems too good to be true in how bad it is — well, there is probably way more to the story. 4. Never call out anyone by name who isn’t an actual public figure. Mind you, I don’t care if people call me out by name, because I’m involved in publishing and media, etc. (Really. Not kidding. Trash away.) I accept that this goes with the territory. But if you start posting negative posts about “regular” people who aren’t self-consciously part of public life, then you’re trying to push said people into the spotlight. That’s just dirty pool, and it almost always escalates tensions rather than enabling healthy debate. Keep it about ideas, not about people. It’s not our job to show the world what a sinner the other person is. God will take care of him. We are not the Savior, you know. 5. Everyone needs Jesus Christ. …especially that big jerk whose name you just dragged through the mud when he so richly deserved it! That’s right, everyone needs Jesus — including me. And including you. If you’re so busy handing someone “the truth in love” by rhetorically handing him his posterior, you just might miss this. But if you keep this in mind, you may well take a different approach. I’m not saying that you can’t debate ideas, but if your purpose is actually to bring someone the love of Jesus Christ (hint: you don’t do that by ripping him to shreds and telling him what a jerk he is and demanding his repentance) then you’ll remember that you are interacting with living, breathing icons of Christ. And remember that Jesus’ presence gives people freedom, not slavery. That changes things. 6. Assume everyone is just as sincere, informed and intelligent as you are. Actually, maybe assume they’re moreso. And don’t just say that. Act like it. The truth is that genuinely honest people who have read all the things you have and are just as smart as you are may well come to different conclusions than you do. The only thing standing between them and your superior enlightenment is in fact not that they are immoral or ignorant or stupid. In fact, you might be wrong. But even if you aren’t, and even if that other person really is wrong, you can’t know all of what goes into someone else’s interpretive matrix that got them to draw a different conclusion from you. So cut them some slack and stop the freak-out. 7. The world is watching. I can’t tell you how many times I’ve come across people who were interested in joining the Orthodox Church or used to be part of it but were turned away because they fell victim to the eat-our-own Orthodox social media phenomenon. Why would anyone want to join with that? Why would anyone want to throw themselves into the midst of accusers whose definition of spreading the love of God is to prove how correct they are? And before you go blaming them because they walked away from Christ and His true Church, consider the possibility that they may not have known you were Jesus’ disciple because you didn’t have love for the other disciples. Where Does Zeal for God Come From? I unfollow, avoid, or plain just don’t read blogs, web sites, pages, or forums where folks often bait others even when activity is moderatd. Moderators can be frustrating too. Remove the temptation from your life. Thank you for your podcasts, your books, and your writings. You’ve been a great help to my husband and I.
I understand that we speak with the familiar voice of the Church through the Fathers and Mothers when we interpret the bible, sing hymnography, recite the Creed, refer to the councils or canons, etc. Can you explain what you mean, then, if what I say is correct. And if what I say is missing something or untrue, please advise me how to bring my thinking on the matter in line with the Church. Also, can you please provide examples with which I can understand in practice what you mean. 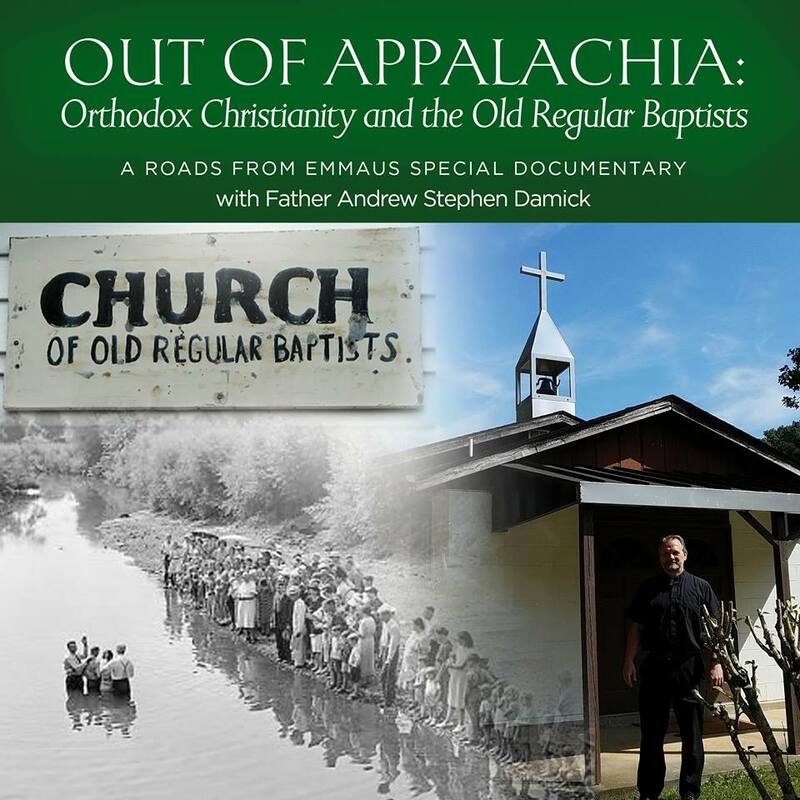 I simply mean that we should continue to do what the Fathers were doing, namely, taking the timeless, unchanging Orthodox faith and using it to speak to our own time and place and address its particular difficulties and questions. I do think that it’s a good thing to quote the Fathers, to follow the Fathers, to use them as a resource, to obey them, etc. But they’re not a kind of second (and closed, apparently) canon which answers every possible question. If they were, well, at what point did we leave the Patristic age? Were later Fathers violating earlier ones by saying new things? I hope that makes some sense. The point is not to go “beyond” the Fathers in the sense of contradicting them or even exceeding them, but rather to continue with the Fathers to do their same work in concert with their holy voices. One of my constant frustrations in having conversations with other Orthodox is that we really need to assume in these contexts, unless they say otherwise, the people we’re dealing with are Orthodox Christians who assent to the doctrines of the Church and desire to conform their beliefs to what the Church teaches on faith and morals. It’s not like we have bishops getting up in the morning saying, “Ah, today is a good day I think to scheme a way to lead the Church into heresy.” And anybody who likes what that bishop said is a plant from The Liberal Agenda or whatever. People of good faith who believe what the Church believes can disagree with each other without doubting the others’ motives! Yes, indeed. “Assume good faith” could easily be an entry here. The hunt for easy heretics is not in the spirit of the Fathers, who gave a fair hearing before the competent authorities even to people like Arius. Thank God I haven’t come across any of this NON Christ behavior. We’re made in the image and likeness of God. When we devour each other like you’re describing, we’re are loosing that likeness to God. How often do we argue and in the middle of it we realize that we’re wrong, but continue to argue. Let’s see Christ in everyone, and not allow the evil one to be in charge. I love, love, Love My Orthodox faith, because of Who Jesus Christ is and what He did for every human being, who believe in him. Orthodoxy is the true faith and there is no truth/love in all of this. For anyone who’s really, wholeheartedly wants the TRUTh, Ancient faith has it all. Did you know that the Orthodox Study Bible in an app form. That commentary button makes all the difference. I even understand the Old Testament! How awesome is that? Check it out! May God bless you and all you do to spread the truth. Thanks for this great post. I’ve had to just refrain from partaking in most discussions and even reading most of them. Too easy to let myself get into a pot and stew about the problems we have today. It’s so discouraging, and we need constant reminders like this to keep us on track. Amen, and thanks we ll need to remember to reflect Christs love. Thank you, Father Andrew. A most important piece. I’m not Orthodox but have received many blessings through my attentiveness to the Wisdom of the East. Well done! I found that simply cancelling FB helped my attitude a lot. Seeing negativity everyday outside of my own (real) community sphere is not something I was designed to handle. (Real) Life has enough trouble. But that’s me—it’s a particular character flaw of mine to be inclined to be argumentative. Others have a different disposition. Re #3: My husband spent 30 years as an Army lawyer specializing in International Law. He taught me that first reports are never correct. Wait to learn the truth.